Nestled among the vineyards of the Hunter Valley, The Vintage is a Greg Norman designed golf course. Just two hours drive north of Sydney; golfers can play a Greg Norman designed course without an overnight stay. 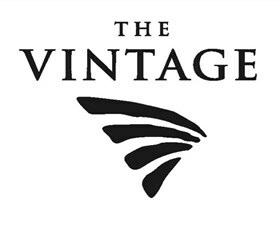 The Vintage blends in with the natural surroundings, gently winding its way around undisturbed wetlands, trickling creeks, eucalypt forests, Beggars Bridge and Bimbadgen Vineyards. Relaxation, rejuvenation, recuperation - whatever your reason for visiting The Spa at Chateau Elan Hunter Valley, they're dedicated to your peace of mind and physical wellbeing. Upon arrival you are greeted by their reception team and guided through to their exquisite Spa consisting of 17 beautifully appointed treatment rooms and a team that understands care, comfort and discretion. Treatments include access to The Spa Hydrotherapy Lounge with two salt water 'thalassotherapy' outdoor hot tubs overlooking the Vintage golf course and infra red detox sauna. Exclusive products include Kerstin Florian, Dermalogica and Healite therapy. Treatments include facials, massages, mens treatments, Healite ll therapy, waxing, manicures, pedicures and amazing packages. For full details and the spa menu, please visit the web site.